In comes a new brand I haven’t heard or saw just yet in the freezer section— Snow Monkey. 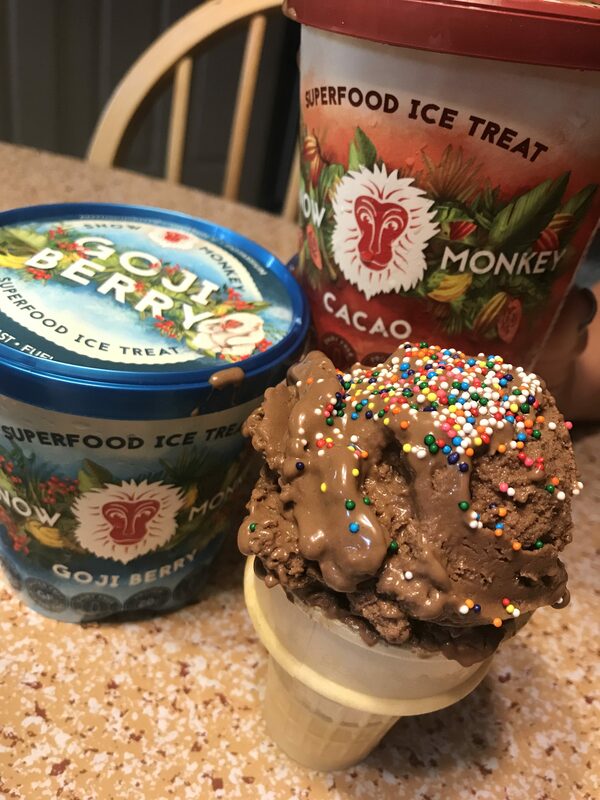 Of the two varieties I was sent, Goji Berry and Cacao, both are dairy free, gluten free, non GMO, vegan, paleo and have 20 grams of protein per pint at 99 cals a serving. The Goji Berry says I️t has potassium in I️t, however there’s only 140 mg a serving aka 4% of your daily needs to make sure you always read the fine print 🙂 —although I guess that’s what I’m here for! Let’s get to the breakdown before the taste. Goji berry has 99 cals a serving, 2 grams of fat, 17 carbs, 2 g of fiber, 14 grams of sugar—but 0g added sugar— and 5 grams of protein. Cacao has 99 cals a serving, 3 grams of fat, 16 carbs, 3 g of fiber, 12 grams of sugar—but 4g added sugar— and 5 grams of protein. Where is this sugar coming from…. BANANAS! Bananas are the first ingredient for both varieties, followed by juice concentrates. I️ definitely like the fact of using fruit as a sweetener and a base—help me add a little extra fruit to my diet in an indulgent way. Hemp protein is main source of protein. 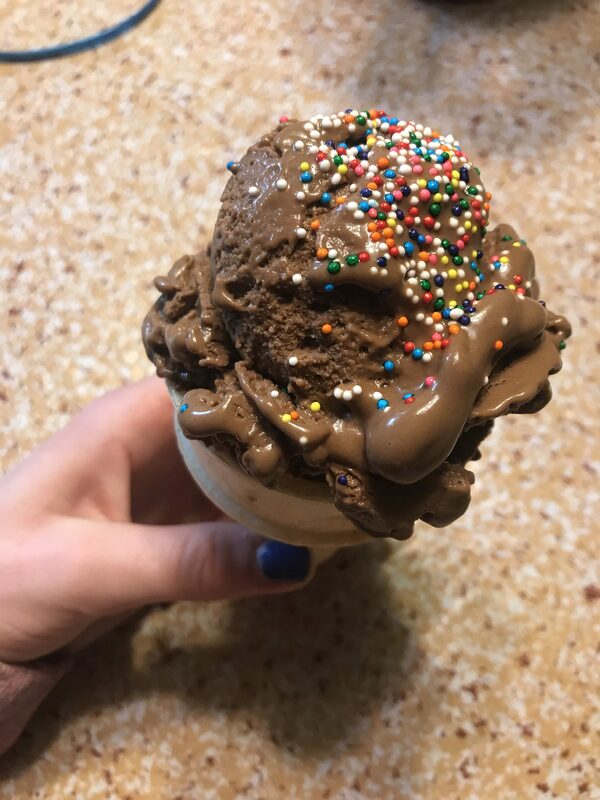 Now for these you have to let them sit for a solid 15-20 minutes before you can even get a scoop out of the container. For real. But remember the base is fruit and not dairy so that’s why. I cheated and used the “soften” feature in my microwave. Because I am a hungry girl and I am impatient. That’s why. Overall, I am a fan. I would like to see what other flavors they come out with. Love how versatile they are, and how they appeal to those who cannot eat dairy! DISCLAIMER: this is an unbiased review. I received these to try for free.